Gabriella Whiting (Florence Ballard), Allison Semmes (Diana Ross), and Tavia Riveé (Mary Wilson) in Motown: The Musical. Photo by Joan Marcus. Motown: The Musical returned to the Orpheum July 11th. 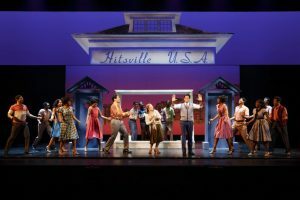 The musical – which follows the story of Berry Gordy, Jr. and his iconic hit-making enterprise – includes more than 60 beloved hits from the Detroit label’s most recognizable artists. 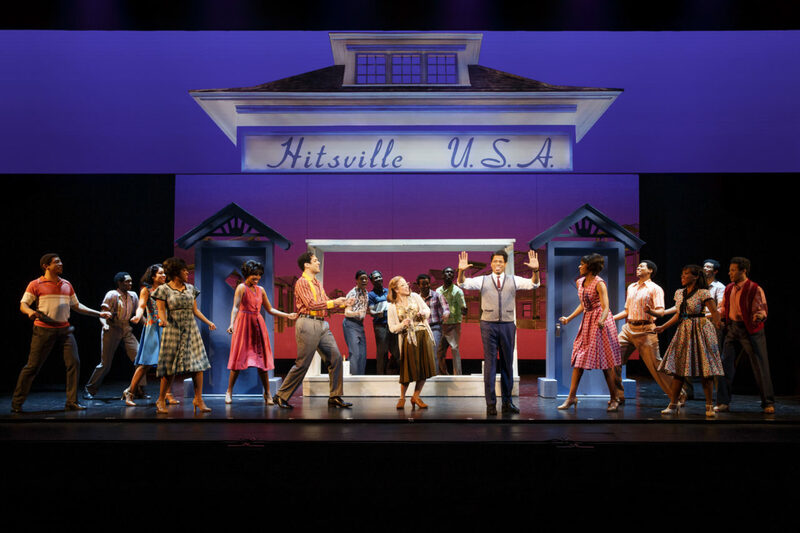 Legendary performances from Diana Ross & The Supremes, Marvin Gaye, Smokey Robinson, The Jackson 5, and more were brought to life by a talented ensemble cast in hit after hit. These songs evoked all kinds of nostalgia, notably drawing some noticeable societal parallels on race relations and social unrest for the diverse Minneapolis audience. Chester Gregory as Berry Gordy (center right) and the cast of Motown: The Musical. The narrative unfolds around the landmark 1983 television special celebrating Motown’s 25th anniversary, and the decades of creatively manufactured, barrier-breaking music, and star power leading up to it. With so many songs to cover, the story ends up being light on character complexity, the rich historical context, and set design – but the audience is well-entertained by the deftly talented performers, the soulfully-synchronized choreography and rapid-fire succession of (sometimes, regrettably truncated) musical numbers. Also: there are so, so many costume, wig, and mic changes. The production center is undoubtedly the showcase of Motown’s music and the roster of its genre-crossing, collaborative artists whose styles ranged from blues to gospel to pop. This is a splendid thing, and the cast brought serious skill and panache to every note. One wishes there was more space in the show for delving deeper into that time’s specific social unrest. (We’re 50 years removed from the Civil Rights movement, but the political climate wouldn’t have you know it.) Still, the roster of socially conscious songs and some pivotal scenic moments clearly resonated powerfully amongst the diverse audience on opening night. 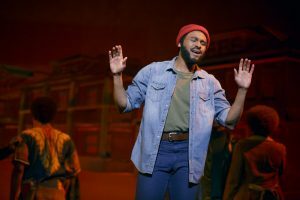 Jarran Muse as Marvin Gaye. Photo by Joan Marcus. Berry Gordy founded Motown wanting music to touch the lives of people in a racially divided, socially unsettled nation to bridge the gap between all people of all ages and races. If you looked around the house Tuesday night—especially when we were all holding hands to the tune of Ross’s “Reach Out and Touch Someone”— you would say he most certainly succeeded. Motown: The Musical plays through July 16 at the Orpheum Theatre in Minneapolis. 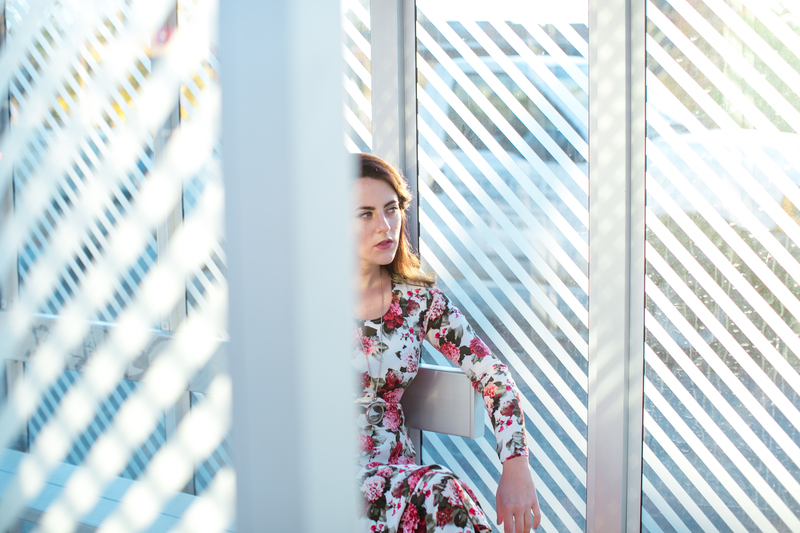 Ali O'Reilly (Associate Music Editor) is a writer and performance artist. A graduate of Columbia College Chicago, she has written for McSweeney's, Thought Catalog, and Revolver, and has performed with Mortified Live! and the Minneapolis Fringe Festival. Her conceptual work has been shown at Fresh Oysters Research Center, CityWide Artist Gallery, and the American Swedish Institute.